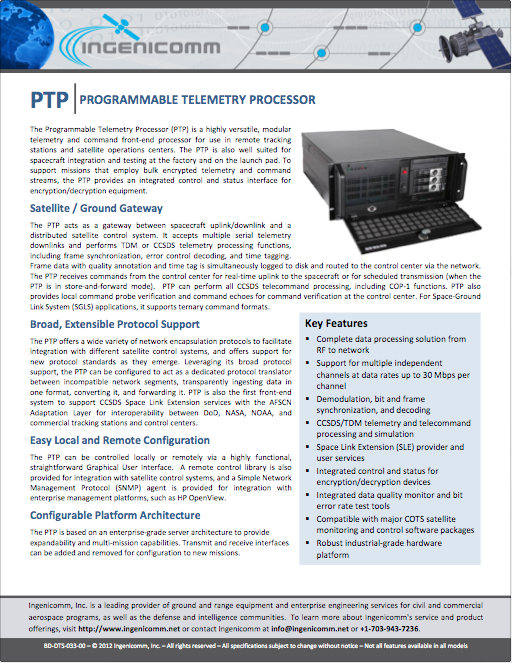 The Programmable Telemetry Processor (PTP) is a highly versatile, modular telemetry and command front-end processor for use in remote tracking stations and satellite operations centers. The PTP is also well suited for spacecraft integration and testing at the factory and on the launch pad. 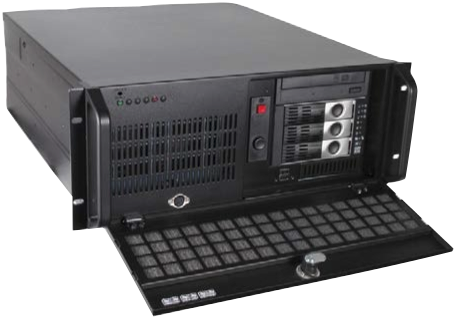 To support missions that employ bulk encrypted telemetry and command streams, the PTP provides an integrated control and status interface for encryption/decryption equipment.